3D printing, the remarkable technology that keeps reaching new, incredible heights, including inexpensive prosthetics (for example, check out this story: http://www.nytimes.com/2015/02/17/science/hand-of-a-superhero.html?_r=0), has been used by ad agency TBWA\Hakuhodo to create highly sculptured ice cubes for Japan’s Suntory Whiskey. The cube designs ranged from the classic Japanese palace seen above to Batman’s visage. The campaign launched in 2014 and won a gold award for design from Adweek as well as a Branded Content & Entertainment Lotus trophy at the recent Asia Pacific Advertising Festival in Thailand. Being a scotch drinker and aficionado of brand innovation, I just had to share this. 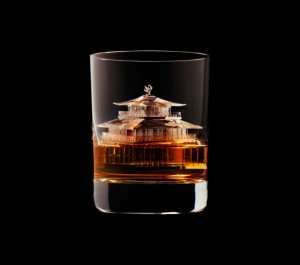 For more information about the technology and visuals of some of the other ice cubes, go to http://www.adweek.com/adfreak/suntory-whisky-3-d-printed-worlds-most-incredible-ice-cubes-163782 .